Deanta Dark Grey Ash & Abachi Wood Internal Doors are coming soon! 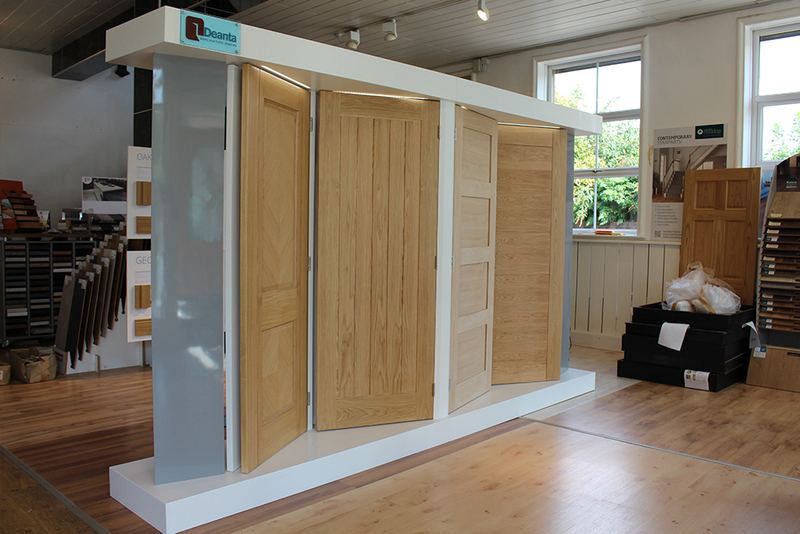 Deanta Dark Grey Ash & Abachi Wood Doors are available soon from JAS Timber! All of Deanta Doors' timber and packaging materials are FSC certified. Deanta take great care to make sure their business has as little impact as possible on the world around. Susta­ina­bility is a core part of the Deanta Doors ethos. Customer satisfaction is Deanta’­s highest priority.­ Deanta achieve this goal by continuously improving the cost effectiveness and performance of all of their doors, as well as focusing on innovation, such as having a solid timber core, and the largest standard door-lippings in the UK, allowing door trimming of up to 1-1/4" of door height and door width (32mm). Unlike other UK door companies, Deanta Doors have their own manufacturing facility. This not only allows Deanta to control door supply but it also allows them to have full control of the quality control process to ensure every door that leaves their factory is of the very highest standard. This also enables Deanta to be extremely competitive on price, as well as surpassing expectations on service and giving them the flexibility to have doors manufactured to exactly meet the end users’ specifi­cation, such as their wide range of Fire Doors. Deanta's team of craftsmen use the latest state-of-the-art technology to achieve a perfect finish with an exceptionally high standard and lasting quality.­ The team are able to offer bespoke doors to meet your exact requirements – in any size and any finish. For more information about the Deanta Bespoke design service, please see our pages on Deanta Bespoke Doors, and then contact us about your door specifi­cation. Deanta solid doors have specially selected crown cut oak or walnut veneers, with open grain to give a more natural door with real timber look and feel. Deanta Doors are heavy and robust as they are produced using recycled FSC certified solid core. Obscure Glazed Deanta Doors obscure toughened glass is manufactured in such a way as to make it very easy to clean, and it won’t mark or stain. Deanta Doors have vigorous quality control procedures in place to check every single door, and they give a limited 10 Year Manufacturers Warranty on every single door. Subscribe to our newsletter to catch even more special offers, along with product updates and project ideas. Please tell us what you think about the Deanta Door Range - Leave a product review!